The Stamp Collection Center launched in 1994 and has become a trusted source in the Netherlands, Europe and around the world. 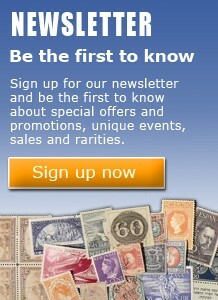 We consider our customers as one big family and do everything to make your stamp purchases as pleasurable as possible. Service and reliability are the foundations of our success. Rudolf Stibbe started his stamp career in 1974. Specialized in dutch stamps, he gradually expanded to other countries becoming a philatelic specialist of the world. Twenty years later he had the vision of launching the ideal stamp warehouse, where collectors, dealers and semi-professionals could meet for everything in the philatelic arena. Service focused, with knowledgeable personnel, combined with an impressive supply of stamps from around the world, Stamp Collection Center has grown to become a trusted source for thousands of loyal customers.